Josh began teaching for PSU in 2005, co-instructing the Whitewater Kayaking course with Matthew Toms for the Adventure Education program. 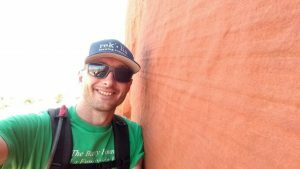 He is an avid outdoor adventure seeker and spent years in the industry guiding students of all ages in whitewater kayaking, mountain biking, backpacking, and canyoneering. Josh is a Social Studies teacher at the Profile High School in Franconia, NH. He lives in Sugar Hill, NH with his wife and two children.